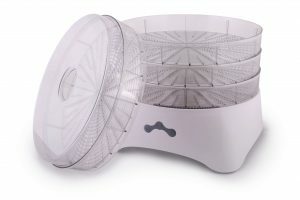 The Nesco dehydrator is one of the easiest food dehydrators to operate. Anyone can use it to create tasty dehydrated snacks. 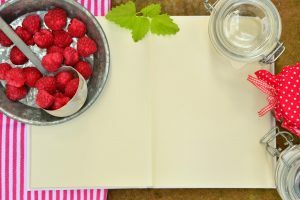 The only challenge is constantly finding new recipes. 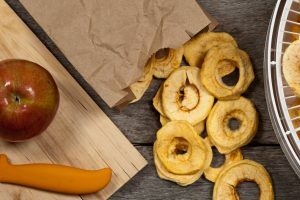 When you get tired of eating the same dehydrated foods, try a few of these top 10 Nesco dehydrator recipes. Every list of Nesco dehydrator recipes includes jerky recipes. It is the first food that people often learn to dehydrate. There are also thousands of ways to prepare jerky. 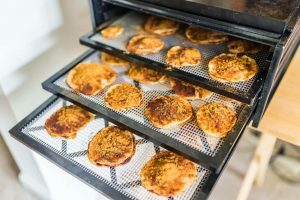 If you want to try something different, follow this Bloody Mary Jerky food dehydrator recipe. Combine the meat, pepper, table salt, horseradish, Worcestershire sauce, and Bloody Mary mix in a sealable bag. Shake the ingredients to coat the meat and refrigerate for at least six hours. When you are ready to prepare the jerky, combine the remaining ingredients in a small bowl. If you use ground beef for this recipe, you will also need a jerky gun. Load the gun with the meat mixture and release the mixture directly on the food dehydrator trays. Sprinkle the dry mixture to season the strips. You can now start dehydrating. This should take about seven to ten hours, depending on the thickness of the strips. Fry the meat with water in a frying pan. When the meat is cooked, add the meat with water and juices to a food processor. You may need to process it in small batches, one cup at a time, to avoid clogging the processor. Mix the remaining ingredients and the shredded beef. 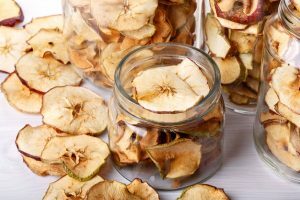 Spoon this mixture directly on to the food dehydrator trays and dehydrate for about five to seven hours. If your dog loves this treat, make sure that you check out other Nesco dehydrator recipes for pet treats. Nesco has dozens of other options, including pumpkin pet treats and dried catnip. Some of the best Nesco dehydrator recipes are the ones that your entire family can enjoy. With Paleo Skittles, you can make a low-carb snack from a combination of healthy fruits and vegetables. 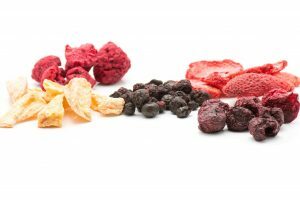 The Paleo Skittles food dehydrator recipe includes instructions for making seven different flavors. However, they all follow the same instructions. You simply combine the ingredients in a blender and continue to puree until the mixture is smooth. If you want the Skittles to look nice, you can pipe the mixture onto the dehydrator trays using a pastry bag and a decorative piping tip. If you do not care about the appearance of the dehydrated treats, you can simply spoon the mixture onto the trays. 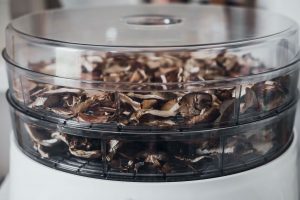 You can also make your own bite-sized granola snacks using a food dehydrator. With the Crunchy Buckwheat Granola recipe, you combine a variety of raw ingredients for a healthy snack that even the kids should love. The granola bites are also a great alternative to sugar-filled cereals and store-bought granola bars. This recipe is also Paleo-friendly and gluten-free. Fruit leather recipes are also popular Nesco dehydrator recipes. These snacks are always easy to prepare. 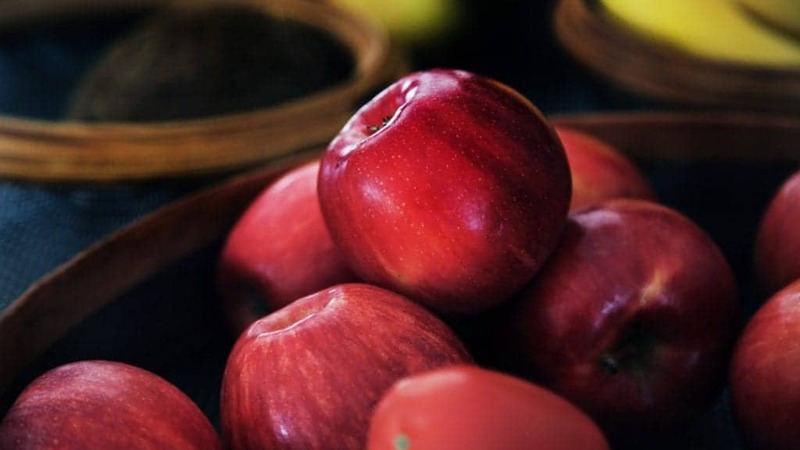 You can use almost any fruit that you have in your kitchen and avoid letting the fruit get wasted. Fruit leather is a healthy alternative to fruit snacks. You also have complete control over how much sugar you add. Food dehydrators allow you to make all types of interesting snacks, such as these spicy cauliflower Buffalo popcorn treats. They are perfect for lunch or as a healthy snack between meals. The dried cauliflower has a light, crunchy texture while the spices help recreate the taste of Buffalo chicken. If you prefer a chewy texture, avoid cutting the cauliflower florets too small. The combination of lemon, zucchini, and dill results in a refreshing batch of zesty zucchini chips. If you have tried other zucchini chips and do not like them, this recipe may help change your opinion. The creator of this recipe recommends that you use a handheld mandolin slicer for slicing the zucchini. It allows you to get paper-thin slices. The thinner slices help create a crunchier texture. 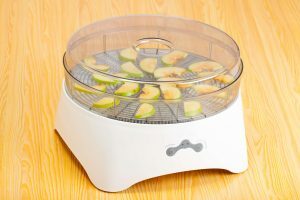 The Nesco dehydrator becomes more useful as you discover new recipes. The coconut yogurt recipe is another interesting creation that provides a healthy treat that you can enjoy any time of the day. For this recipe, you are going to need two cups of coconut meat, a teaspoon of probiotics, and some water and lemon juice. It tastes great on its own or served with fresh fruit, such as mango. 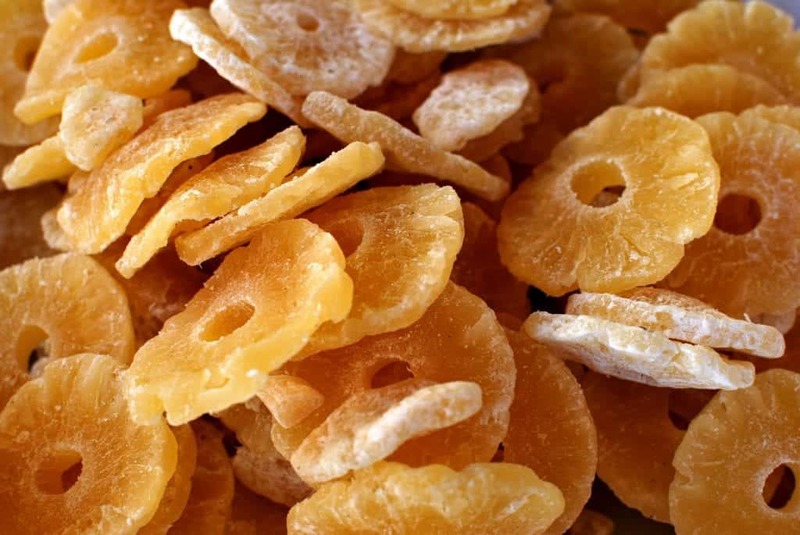 You can also make your own sweet-and-sour candy with the following dehydrated kiwi treat recipe. This is one of the easiest recipes to follow as you only need one ingredient. You simply slice the kiwi into chunks and place on the dehydrator tray. After it dries, you can store it in the fridge or the freezer. If you place it in the fridge, it will remain chewy. If you store it in the freezer, you will have hard candy in about 24 hours. With a combination of shaved coconut, dates, bananas, and flax meal, you can make incredibly tasty banana nut brittle. This recipe only includes a handful of ingredients and takes just minutes to prepare. You can start making it in the morning and have a fun treat ready for the evening. 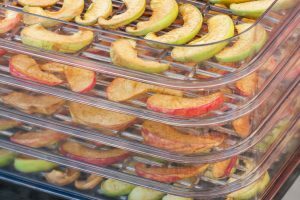 These top 10 Nesco dehydrator recipes are just a small sampling of what you can do with a Nesco food dehydrator. 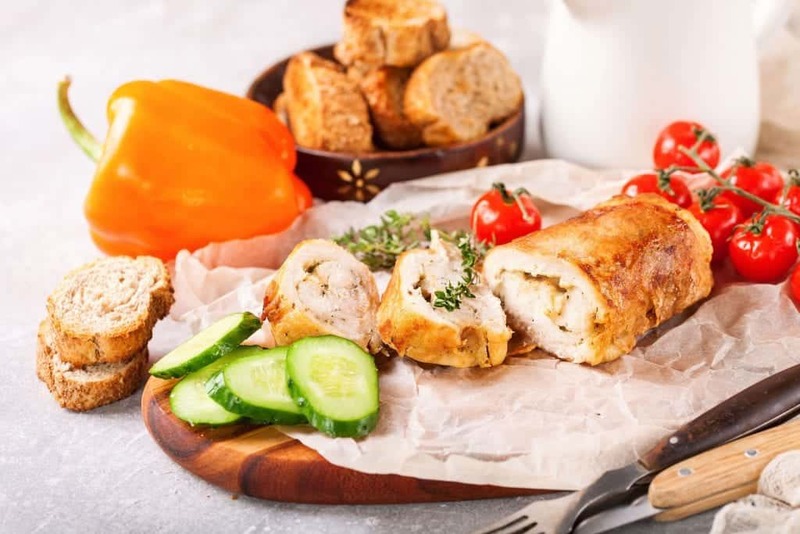 After you test each of these recipes, continue to find new ways to get more use out of this versatile kitchen appliance. 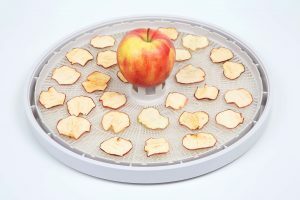 Check out more delicious dehydrator recipes here!